Nice high power eyepiece multi-element coated glass elements and a field of view of about 55 degrees. Exit aperture is 12mm, eye relief is about 10mm. Fits all 2" focusers, Aluminum barrel is threaded for filters. Very lightweight for a 2" at 7 ounces. 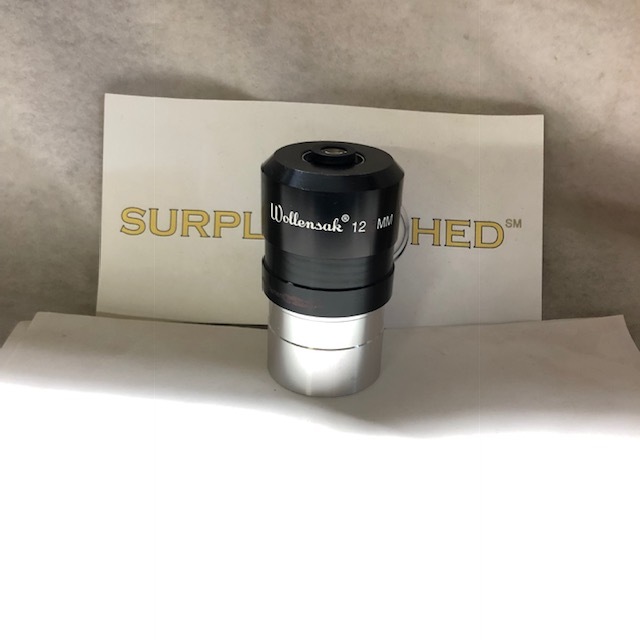 Comes with our full 90 day Wollensak warranty (return it for a refund, exchange, or credit (your option) less shipping if the eyepiece doesn't meet your requirements for any reason. Of course if you physically damage it, it cannot be returned). We believe this is the best eyepiece warranty in the industry. Wollensak quality optics since 1899. Unbeatable price for any quality 2" eyepiece!